All orders including this item will ship after the above mentioned release date! 6 pannel Digipak with 6 panel fold out booklet. Polyptych is a metal band founded in Chicago, IL in 2008 that fuses several styles of extreme metal, ranging from black metal to death and doom metal. Polyptych's debut record Panels Engraved was released in May 2012 and was released as a two piece. At this time, the band was initially conceived as a studio project; however, following the recording of their sophomore record in 2014, Illusorium, Polyptych has become a fully active four piece band, playing an inaugural show in 2014 alongside the New Zealand death metal titans, Ulcerate. Polyptych has also shared the stage with touring acts such as Mutilation Rites and Leprous, and Chicago local acts Sioum and Austaras. 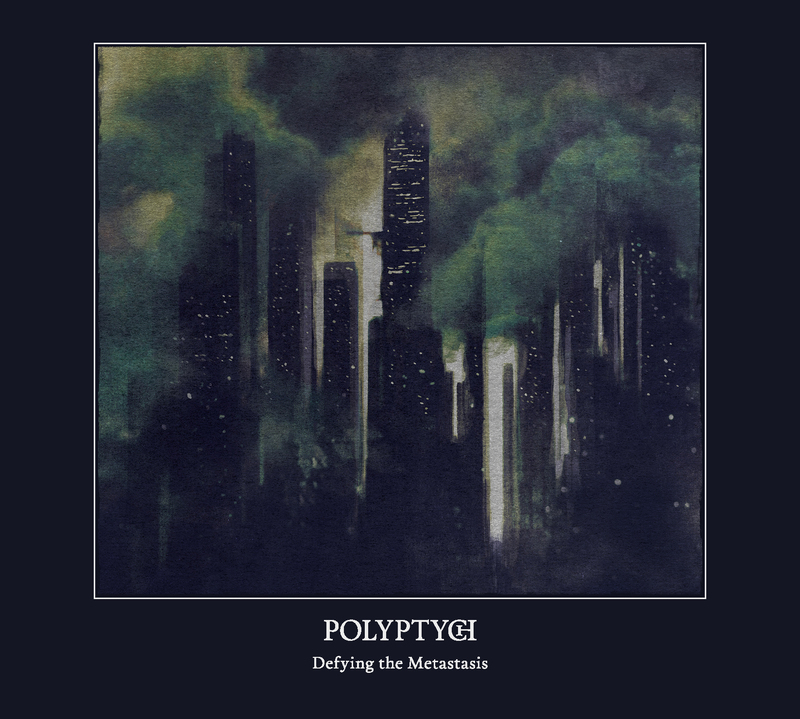 The core of Polyptych’s existence is to find something worthwhile to communicate to the world through the music, and each topic that has been discussed on the band’s records thus far has been something that the band believes to be of grave importance. Polyptych believes that people who listen to the music and read the lyrics will also be able to find a similar meaning that the band does in what they choose to compose.